Foreign travel is my life’s passion but of necessity I return home (along with my shadow,) albeit reluctantly to water my plants and change shirts. Soon enough the welcome of familiar surroundings becomes humdrum but fortunately I reside immediately facing Vancouver’s Stanley Park and Lost Lagoon is a stone’s throw from my door. In praise of this immense urban park, I’ll vouch to never knowing what awaits behind a majestic Douglas fir or along the ten kilometres of seawall around English Bay. 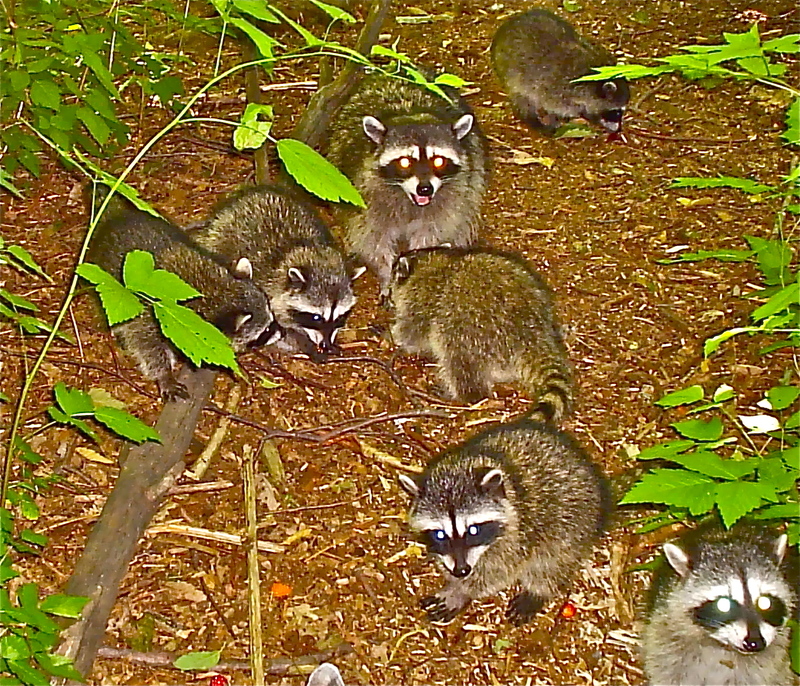 Daily I stroll along the leafy paths and feed the chickadees, the squirrels too and if in a forgiving mood perhaps indulge a thieving racoon or two, especially the new born in the spring that admittedly are cute little rascals. At any rate one day this spring as I ambled down the shady lane leading to the lagoon, I was surprised, no, in fact, flabbergasted by what materialized in front of my eyes. 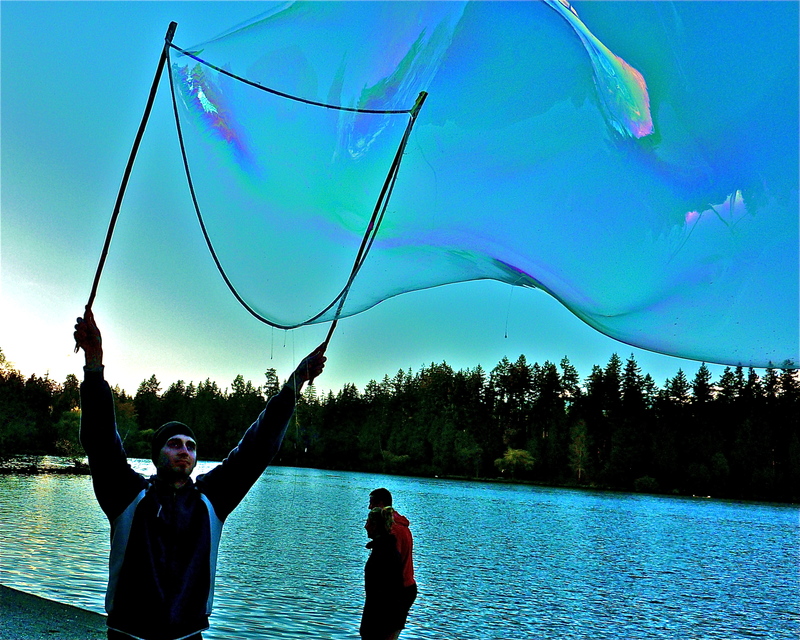 A soap bubble so large it almost filled up all of the sky between two large cedars. I had no idea where that dazzling UFO had come from, it hovered an instant then in a breath of air flew upwards and in the sunlight a kaleidoscope of colours shimmered as if by magic. 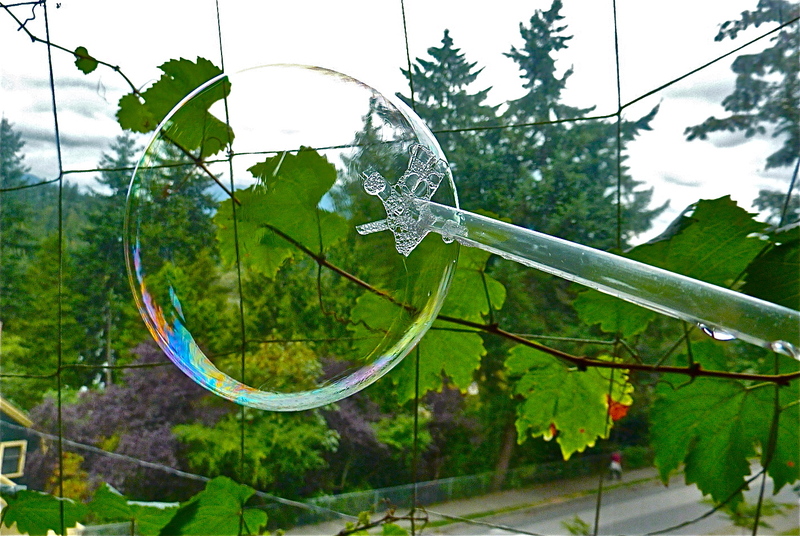 Those who know me well will not be surprised when I claim blowing soap bubbles in the wind is a wonderfully therapeutic activity. To be candid it’s an activity I am totally in tune with, one might say I was born to be a Bubble Blower. I can imagine nothing more heavenly, as fragile or short-lived and therein lies its poignant charm. 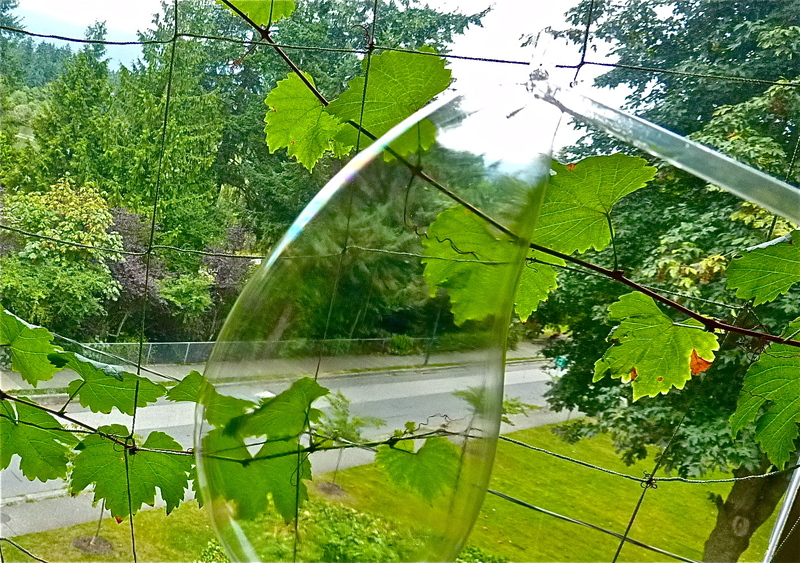 I might compare the bubble’s evanescent existence to the span of a human life since when we first walked the face of this planet. ‘Time’ is incomprehensible, beyond control, aloof and willful, fleeting as a shooting star. But, this is to be a happy anecdotal story and thus I’ll spare you from more of such kill-joy musings. Cherry blossoms seen behind the diaphanous bubble have but a short life span as well; such loveliness cannot be hoarded but pause and breathe in the time of a sigh, let go and await next year. Always allowing myself the gift of a future pleasure is part of my personality make-up, or as a perspicacious friend claims me to be, “The Eternal Optimist.” Truthfully I can’t quibble with that statement and am rather happy about it and grateful for such priceless good fortune. 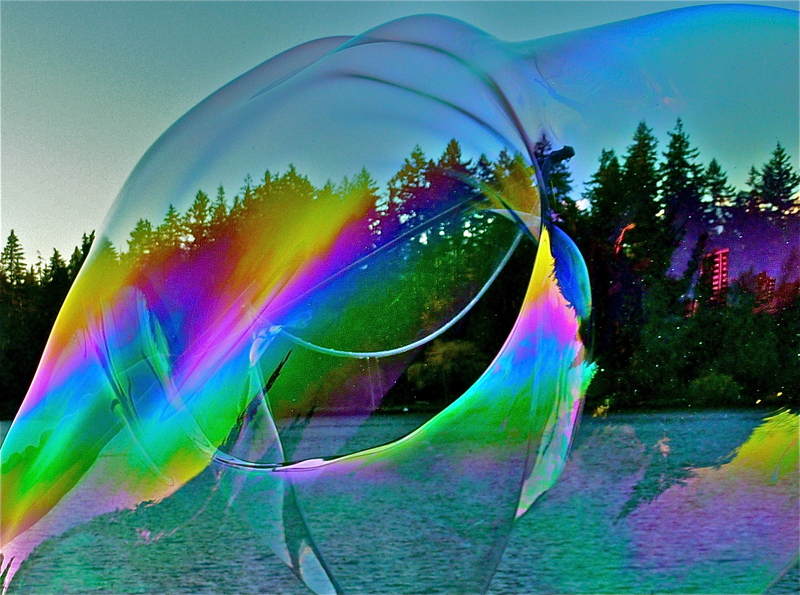 Bubbles must be blown in the wind so the element of unpredictability is present every second, the god Zephyr must be of a mood to change the direction and shape of a bubble to create the most whimsical of shapes and bursts of colours. Now how did I come to blow bubbles? 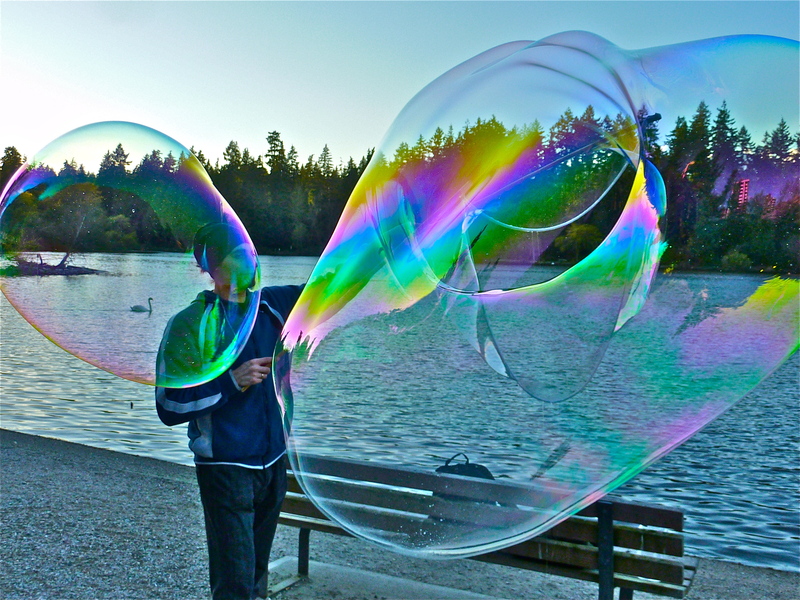 I mean gigantic bubbles that have no kinship with those of childhood. Remember? You’d find a straw, carefully slice one end perhaps four or five times, bend the flaps to create a kind of starfish shaped instrument. Then you’d dip it in a soapy water, warm but not too warm, pick up a small drop, carefully bring it to the mouth and then a blow a steady but gentle stream of air through the other end. Result? 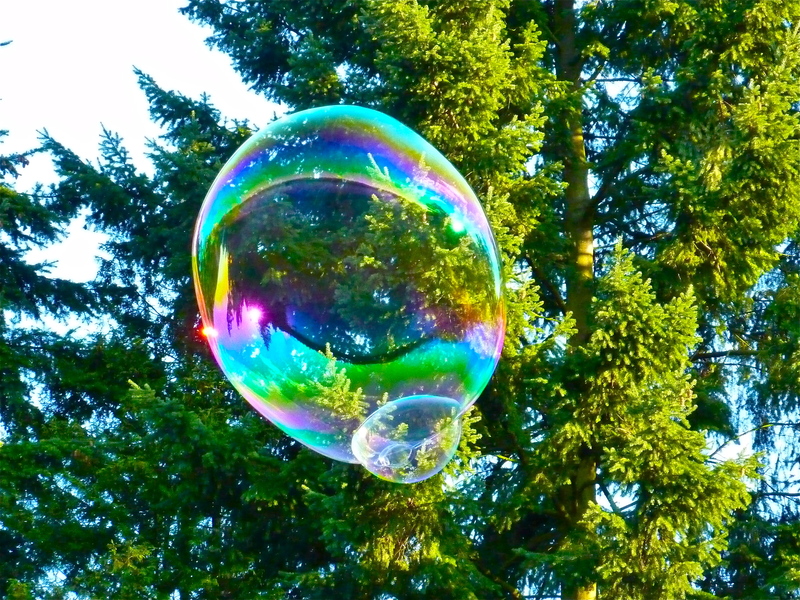 Soap bubbles would materialize and with a delicate shake the bubble would release and fly off for an ethereal moment of glory. 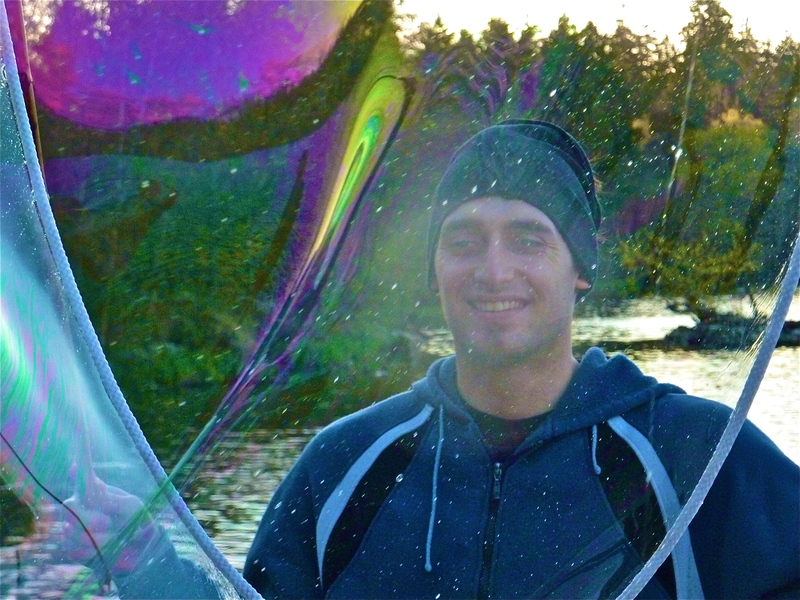 Indeed, even then as a burgeoning romantic lad I had come to equate soap bubbles with the fickleness of life. Was I destined even then to be circumspect about my future prospects? Happily, I can emphatically say not but it was a close call after we’d emigrated to these shores when I was in my mid-teens. Without being over stating the culture shock was traumatic and I never quite totally got over it. But that’s an altogether other story to be told in full in my autobiography (presently in the furrowed brow stage). Or they’d pop almost immediately and that too made me learn the rudiments of a philosophical stoicism admixed with an altar boy’s faith and hope about what to expect from life. Some bubbles last and others don’t, and that’s that. 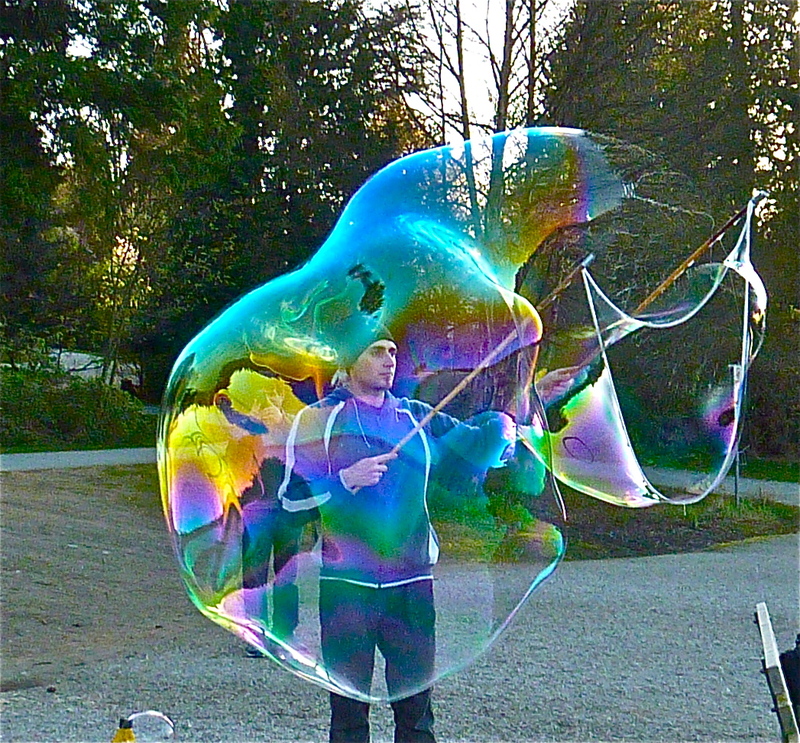 Well, all this is really of not much import however it does serve to introduce my recent adventure with soap bubbles, but in this instance gigantic, colourful ones such as my wildest dreams wouldn’t have been able to imagine. So, what is the science behind these beauties? 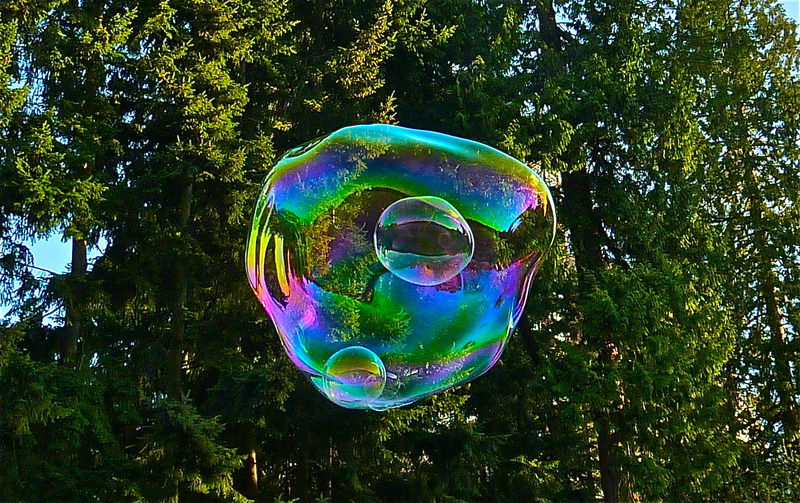 A soap bubble is an extremely thin film of soapy water enclosing air that forms a hollow sphere with an iridescent surface. Not to get too technical (don’t want to ruin the whimsical quality) when light shines on the surface beautiful colours shimmer and swirl arising from interference of light reflecting off the front and back of the microscopically thin soap film. And my friends, that’s where the explanations stop before it destroys the whimsical nature of blowing magic bubbles. A few steps and I discovered where and who was the inspired creator of that surprise. 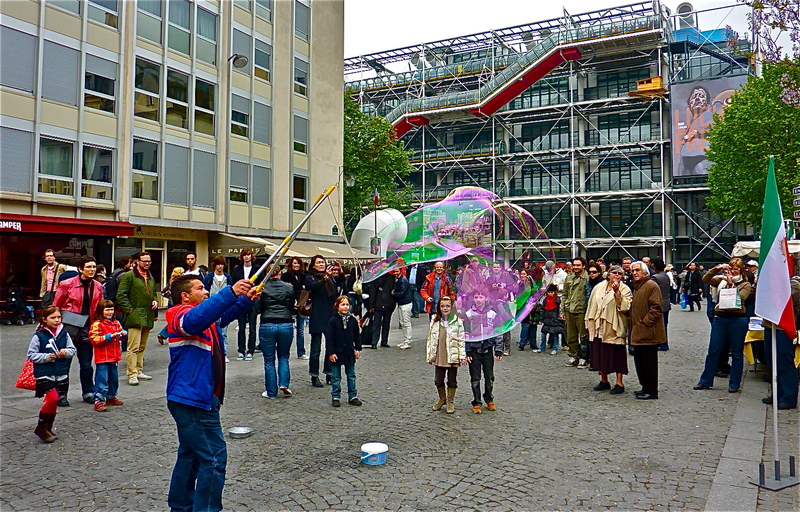 And that immediately brought to mind the very same phenomenal puffs of soap in front of Musée Pompidou, in Paris. 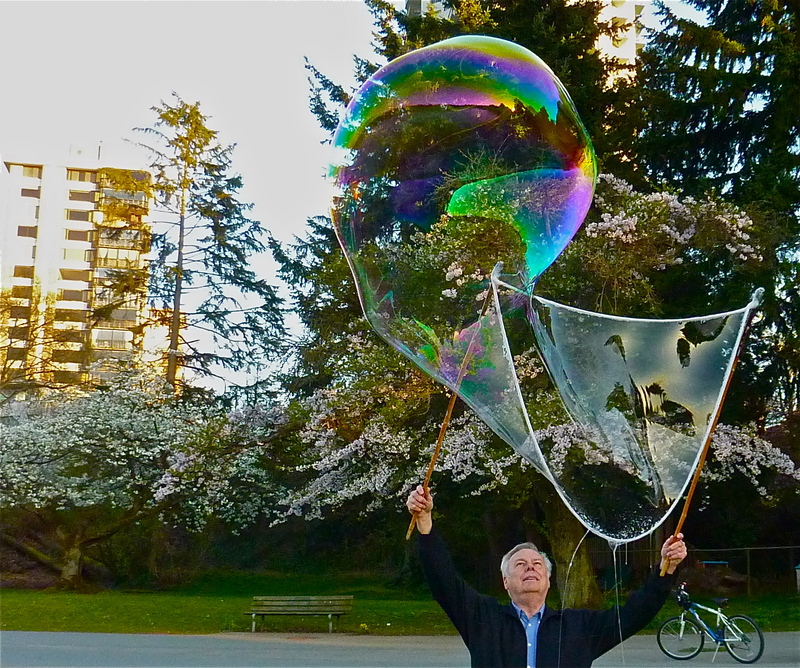 A few years ago for the first time in my life I saw a man entertaining a sizeable crowd, adults and children alike, creating giant diaphanous air balloons. Curious as always, I learned after chatting he now earned a good living from the coins tossed in to a hat. In a heavily accented French he told coming from the Azore Islands where as a boy he’d learned the trick from his grand-father. One afternoon he’d taken his children to a nearby park to entertain with bubbles as there was no money for carousel rides and instantly a sizeable crowd had gathered to cheer the display. Months unemployed and unable to find a job he’d taken a chance to do exactly what he was doing then and it now fed him, a wife and two children. There were several other entertaining acts in the large square fronting the Pompidou Centre but he had by far the largest gathering, no wonder, I thought, each and every one of us must at one time have blown tiny little bubbles and here was the absolute Everest compared to our puny hill of beans. If I were of a mind to wax poetic I’d suggest this hopeful young lady is reaching for a bit of ethereal happiness. I hope she finds it much more permanent than that elusive bit of froath but just as beautiful. 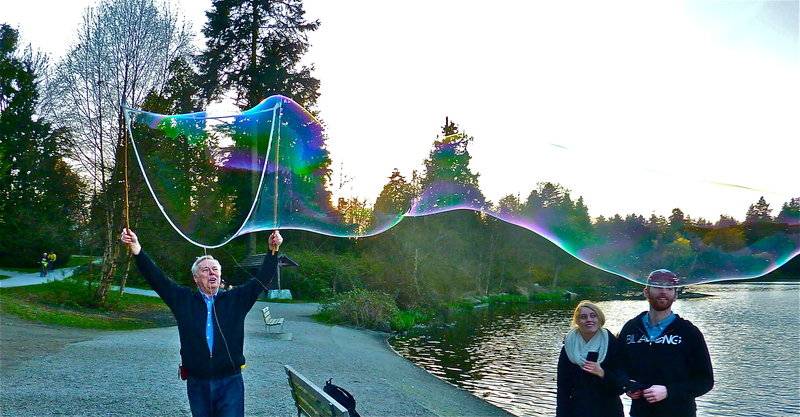 The creator of the bubble was doing his thing by the edge of the water. Later he told me the location was perfect as the wind was just right, neither too strong nor too weak with enough changes in direction to allow for different flight patterns. Indeed, contrary to the bubbles of youth, these giants at times flew a considerable distance and lasted ten or more seconds. 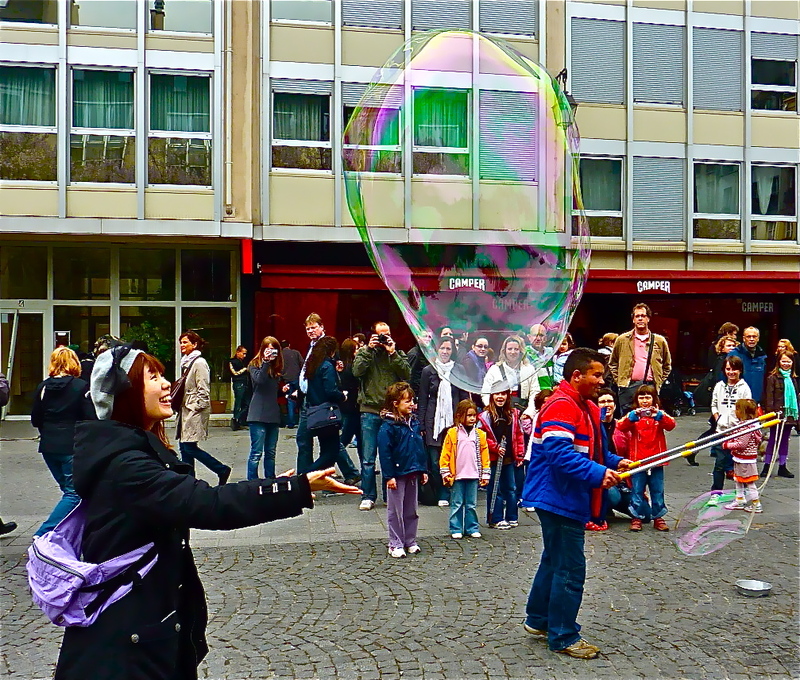 Let me introduce the artist who delighted me and a gathering crowd with an impressive series of splendid bubbles. 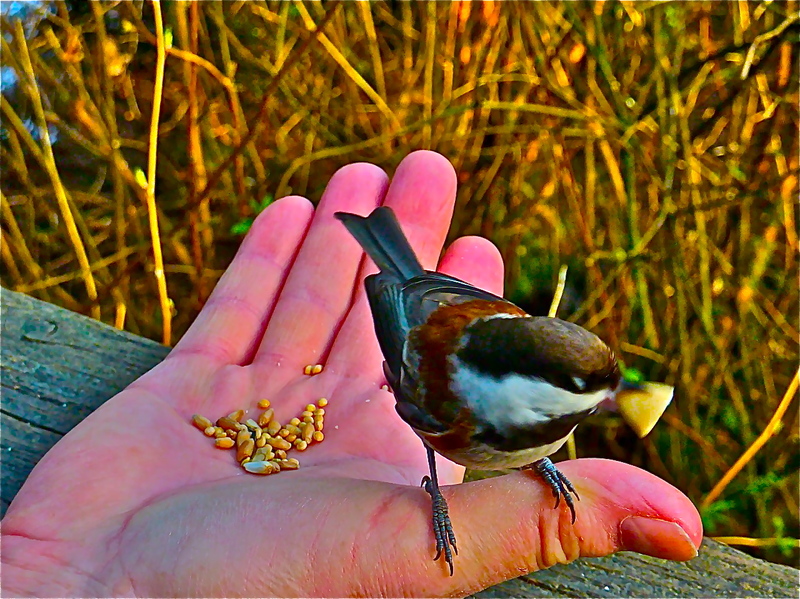 His name is Rimvi and he turned out to be a really decent and generous fellow – you’ll soon discover why I thought so. Was he talented? Sure, look, he could conjure up ‘doubles’ too. Wow! And the next one was HUGE! I spent several minutes watching and growing envious too. Finally, I approached and asked if he’d be so kind as to let me try my hand at the exercise. As I’d surmised since only a fine young man would take such pleasure in blowing bubbles he readily agreed and now you can judge for yourself if I possessed any latent yet promising talent. Oops, that was a bit of a bust … no pun, really, it went ‘ploop’ right off. The truth is it took a few tries to get the hang of releasing the bubbles. Making one was relatively easy although to be candid no sure thing, that came along soon enough but they seemed to get stuck to the tip end of my sticks. It took a bit of practice and a deft move. Think of it as if you were releasing a dove in the air. Throwing your hands upwards but reasonably gently while tip-toeing back two or three steps, gingerly but with purpose — in other words it took a little practice but I got it and now I share with you my best bubbles. 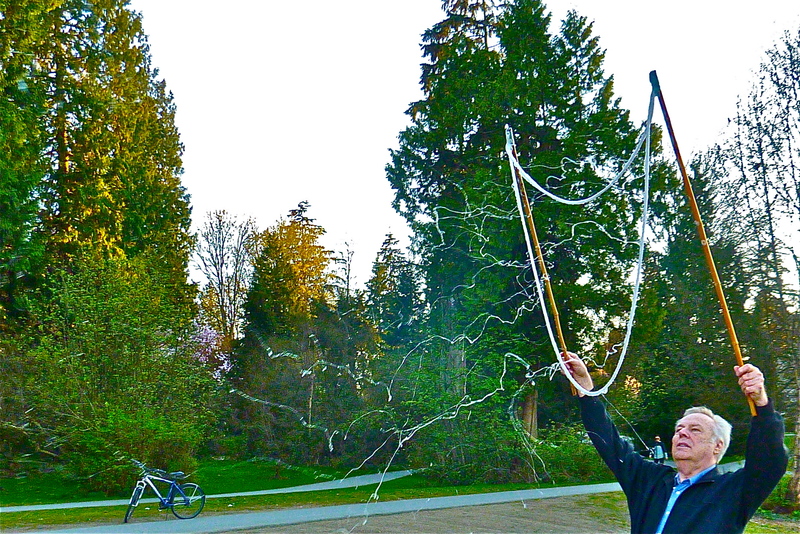 This monumental (to my eyes) effort was caught on camera a milli-second before blowing up. Notice the bottom tearing up. This one was a winner, almost the size of a whale but the wrong camera angle as the sunlight was too bright and the colours didn’t show well; yet notice the witnessing couple in ‘shock and awe’ at the evidence of my prowess. 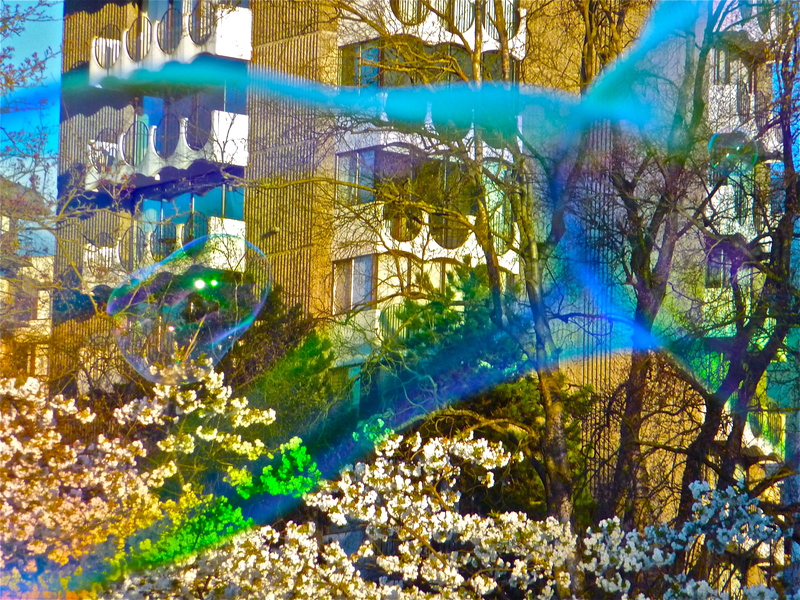 Finally I’ll leave you with this shot, I don’t know, really if it was MY bubble or Rimvi’s but what the heck, I’ll be generous let it be his and I’ll take credit for a great shot, catching just the right angle of sun rays for maximum kaleidoscope effects. Yes sir, I’m a generous kinda fella, love to spread the praise around, pour moi aussi naturellement. 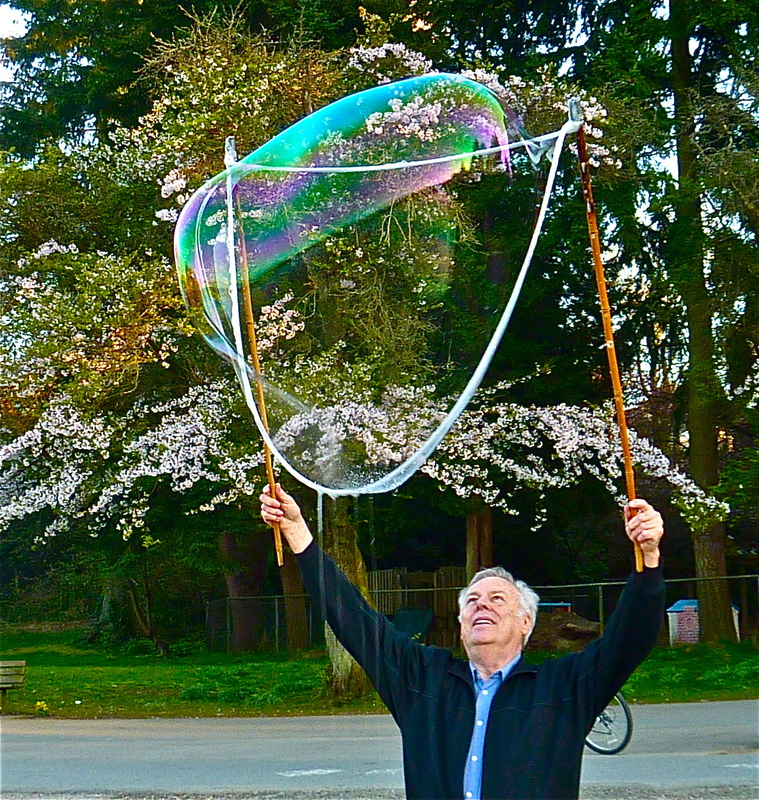 A final note, I’m going to find the ‘bubble artist’ again, then I’ll plead with him to instruct me on how to manufacture the paraphernalia required to create my own happiness bubbles whenever and wherever. My next trip I’ll share will be to Belgium – see you then. Aurevoir mes amis. one tear drop I’ll leave as evidence. a passionate heart was his domain. 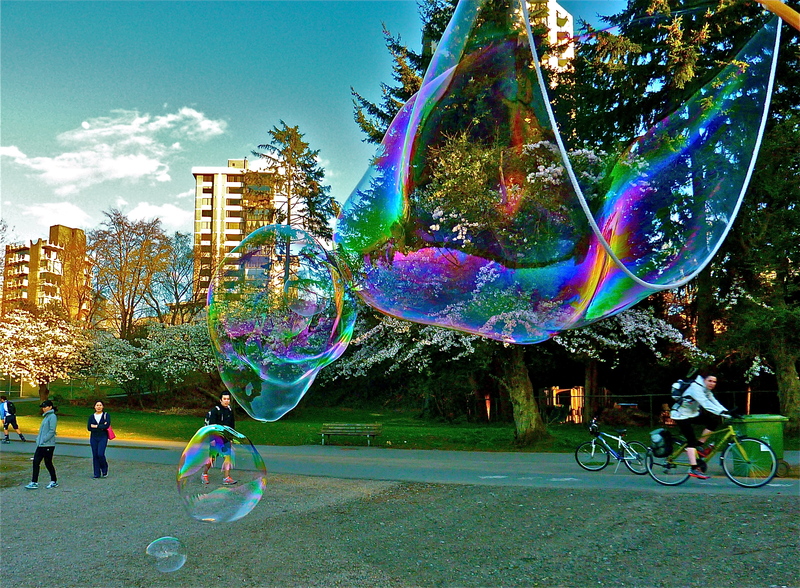 This entry was posted in Uncategorized and tagged English Bay, Giant soap bubbles, Lost Lagoon, Raccoons, Rimvi, seawall, Soap bubbles, Stanley Park, Vancouver. Bookmark the permalink. 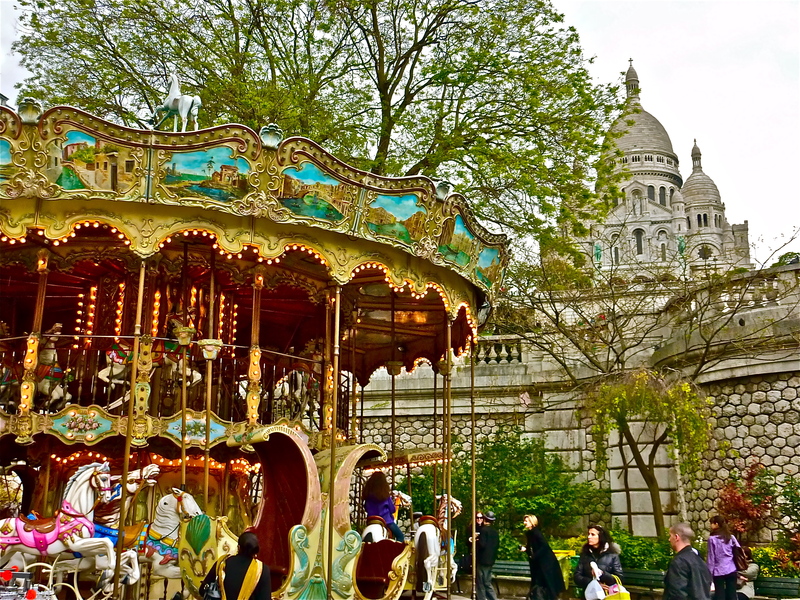 Cher Fabulist, another enchanting blog. You write so well. Even with bubbles you are philosophical . Thank you. I will try to remain a child and go blow bubbles like you do.